Since establishment Spa Wellness Academy has been offering training in Western and Ayurvedic Spa therapies and also in Spa management and development. Our Managing Director Dr. Manish Patwardhan (M.D Ayurveda) is a renowned Spa Consultant in the Indian sub-continent. He has been working in the industry for eight years and has been travelling all over the world visiting various Spas. After a detailed analysis of the industry and keen observations in market potentials and studying the expectations and requirements of the industry Spa Wellness Academy has launched complete Spa training courses. 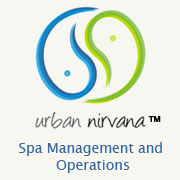 Creating Spa professionals of international standards with most updated knowledge about the industry is our objective. In Aizawal, we have a fully equipped Training academy with local trainers, who can speak Mizo language making it easy for the students to understand the whole training modules. In Mizoram, we train the screen the young talent, enroll them in our academy and train them in various Spa therapies for 6 weeks, full time. The entire training is conducted 100% free of cost. The Academy is also give a 100% placement guarantee to each student enrolled in the academy after successful completion of the training as per SWA Standards. Once the training is completed, all these students are recruited in our Spas' or in Spa;s owned and operated by our clients. This is done keeping in mind the security of these students. This Academy ensures good quality trained professionals to be recruited in our Spas and with our clients only, there by helping them be successful in their businesses. The Academy premises in Pune are about 2500 sq. feet with fully equipped classrooms with complete audio visual training support. This Academy is primarily used as a finishing school for the Students who pass from Aizawal and then come to Pune, prior to going to work at various Spas across the country. This Academy is also for training Spa enthusiasts/Spa professionals, who want to get trained in various Spa modules. We get a lot of Indian and overseas students to come and train with us round the year. This is a Training conducted for a Group of Spa Professionals, minimum Students required for conducting this training is 6 students minimum. For further enquiries on Training email on info@spaconsultants.in.